The new weber.set pro lite-rapid tile adhesive by Saint-Gobain Weber joins a comprehensive range of easy-to-use, high performance tile adhesives and grouts for the professional tile fixer. The formulation of the new tile adhesive for fixing all ceramic, porcelain and natural stone floor tiles for interior and exterior application, offers a host of benefits that all tilers will enjoy and appreciate. weber.set pro lite-rapid is suitable for use on all solid substrates including under-floor heating and has a high polymer content which provides ultra-flexibility (S2), whilst still maintaining a strong C2 bond strength. 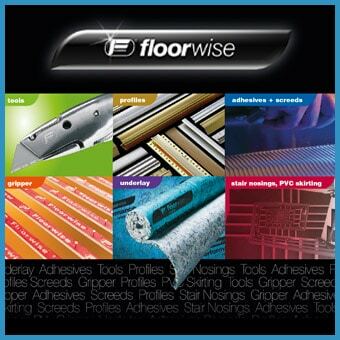 As the product contains lightweight materials it enables extra coverage of the adhesive without increasing the load which is vital to eliminate the effect of any expansion or contraction to the substrate. weber.set pro lite-rapid benefits from Low Dust Technology™ which dramatically reduces airborne dust created during pouring and mixing of the adhesive making it cleaner for the operator to use. weber.set pro lite-rapid also contains Cement Replacement Technology providing an environmentally friendly formulation without compromising the product’s performance qualities and characteristics . The adhesive’s rapid-setting qualities allow light foot traffic and grouting in just two hours. weber.set pro lite-rapid is available in 25kg bags and requires only the addition of clean water on site. The bags also carry Weber Rewards stickers where unique codes can be registered at www.loveweber.co.uk as part of the newly refreshed Weber Rewards loyalty scheme. For more information or for technical support, please contact Saint-Gobain Weber on 08703 330 070, or visit www.loveweber.co.uk. Customers in Ireland should call 028 9335 2999. A free download of the ‘Redeem on the go’ App is available for iPhone and iPad users and from Google Play for Android smartphones and tablet users. Follow Love Weber on Twitter @LoveWeber for the latest company news and updates.